At Central Vermont Medical Center, our Neurology medical group practice provides general neurology services in a caring and compassionate environment. 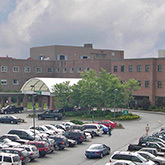 Located on the first floor of Medical Office Building "A" on the CVMC Campus. Our Neurology providers offer comprehensive, compassionate care in the evaluation and treatment of adults and adolescents who present with a variety of neurological symptoms, disorders, abnormal findings on neurological examination and concerning findings on neuroimaging studies. An Electroencephalogram (EEG) is a technique for studying the electrical current within the brain. Electrodes are attached to the scalp. Wires attach these electrodes to a machine which records the electrical impulses. The results are displayed on a computer screen. The electrical impulses are then viewed and interpreted by a neurologist. The test is performed by attaching electrodes to the scalp with a paste. You may be asked to lie down and relax. During part of the test you will be exposed to a flashing light (photic stimulation) and/or asked to breath deeply and rapidly (hyperventilation). Some patients are asked to stay up all night before the test. Your referring physician will determine these special instructions. Under normal conditions, the test will take about an hour to conduct.